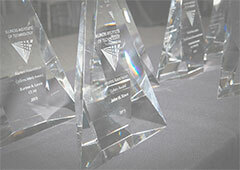 The Illinois Institute of Technology Alumni Awards presentation has been a tradition since 1946. Read on to find information about past winners. Join us at the next Alumni Awards luncheon, and don't forget to submit a nomination today!